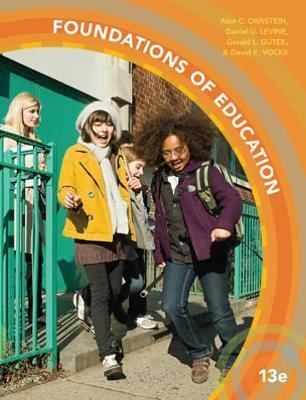 FOUNDATIONS OF EDUCATION examines and analyzes the key educational issues and policies affecting American education. The book prepares you for your future professional career as an educator through an array of applied features that tie the book's themes to your future practice. The chapters on the history and philosophy of education encourage you to construct your own personal philosophy of education, building a strong foundation for a professional career. Completely up-to-date throughout, this edition also provides the latest information on the common core curriculum, accountability, technology in education, school reform, diversity, legal rulings, recent trends in school funding and teacher compensation, new instructional practices, the outlook for careers, and many other important topics.